For more information, complete the request form at the bottom of this page. 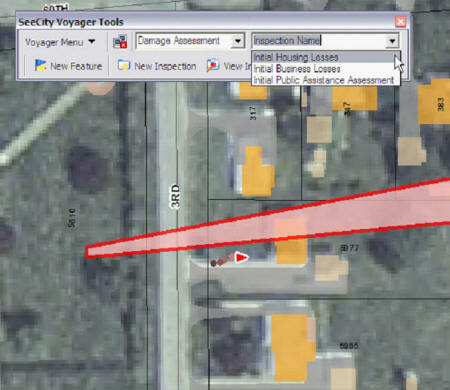 An example of Voyager’s use can be portrayed in performing damage assessment in the area of a tornado’s destruction path. 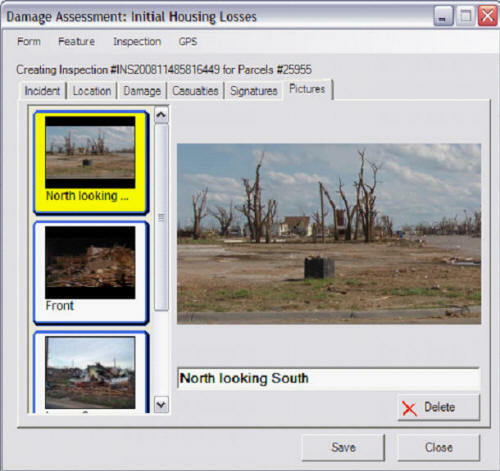 Inspections can include multiple photos of the site, transmitted to the Voyager system via a wireless camera. Voyager EMP has an extensive and flexible reporting system which is based on a user defined template schema. 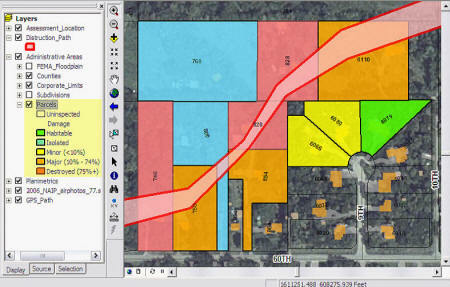 A central command center can monitor the progress of the field assessment team by using cellular technology to transmit updates as they occur. Voyager’s support of building inspections is unequaled in other software solutions. IT offers a complete solution to your inspection needs, by supporting the field inspections, access to previous inspections while on-site, scheduling follow-up, and printing reports while on-site. 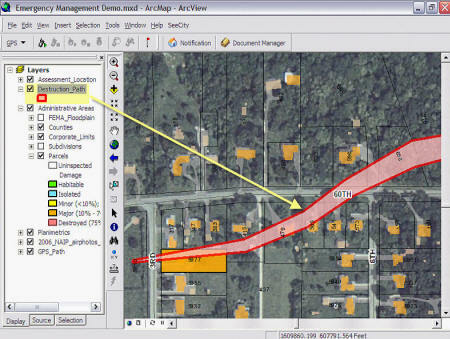 GIS can provide a myriad of support for command and control situations. Users can visualize the surrounding area. Views of the utility networks in the vicinity, such as water, power, gas. 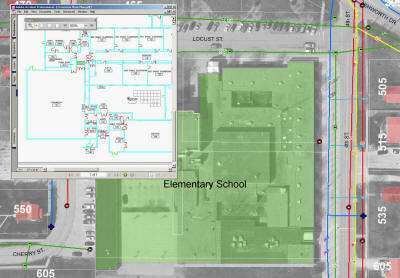 Our document management can include floor plans of buildings, locations of power, water and gas shut-offs. Fire fighters can make more informed decisions based on current information. such as location of chemicals stored on site, etc.